Cheryl, a dear Aussie friend of mine, gave me the following advice "Illegitimi nil Carborundum" and she is right! Control is an illusion! Let it go and move on; life is to short! 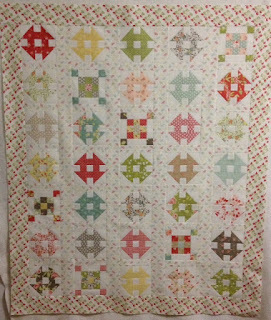 Having been a quiltin' fool for a few weeks, starting and finishing new projects, I thought I would tackle my UFO pile. 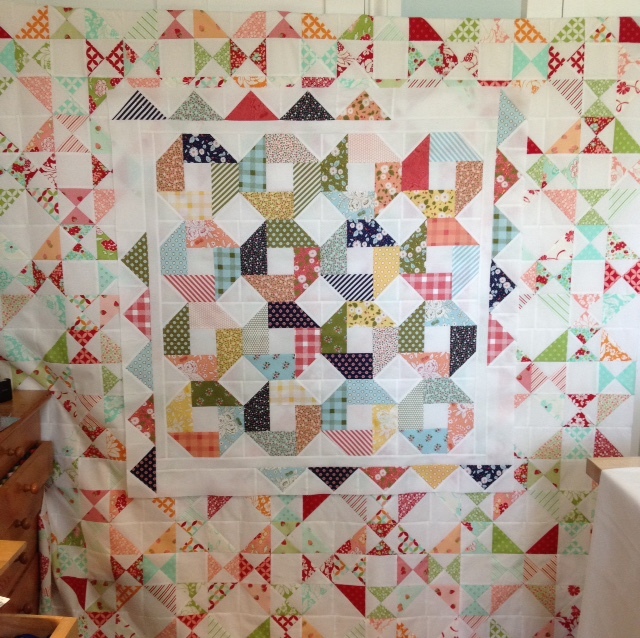 As a quilt shoppe owner, your quilting project choice takes on a double duty - personal quilt and shoppe sample. 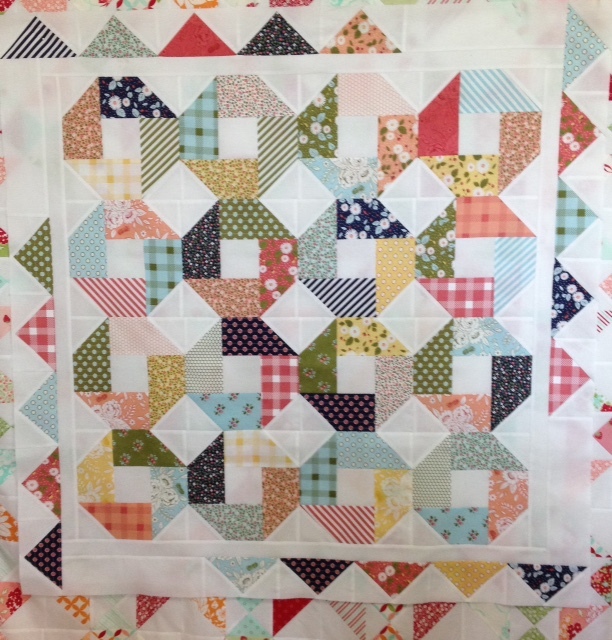 It's an efficient way to quilt! But, there comes a time when your UFO pile, you know the ones you cannot use as a shoppe sample, weighs you down. It's amazing how it can put a damper on your creativity! The remedy is to either rid yourself of those projects you are no longer passionate about or start tackling them! For me, I'm passionate about all of my UFOs! 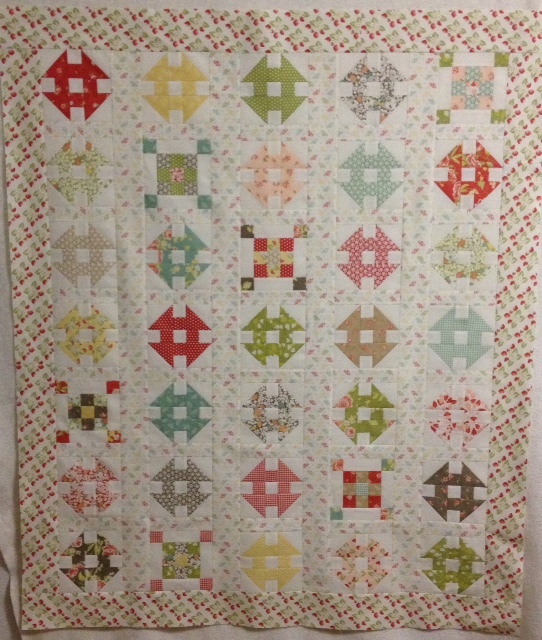 Last night I worked on a quilt I started back in December 2014. 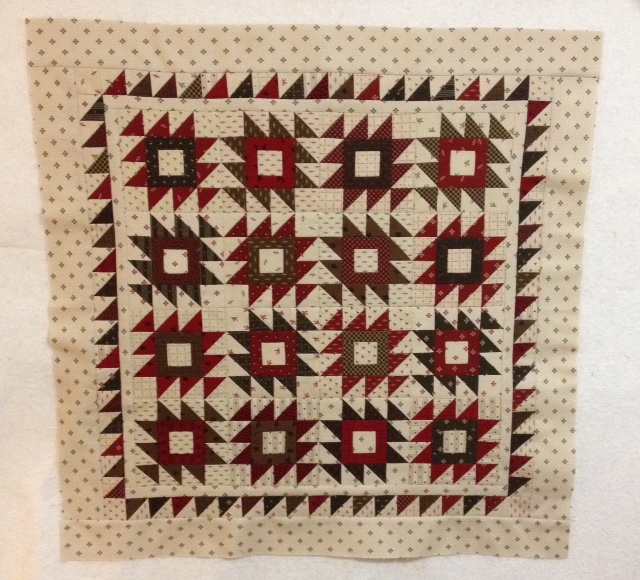 It was offered by Fibre as a mystery block of the month. It was the perfect quilt for someone special, whom by the way, is not getting any younger and for the record, neither am I. So, time to tackle it and get it done! It's a gorgeous queen size quilt! 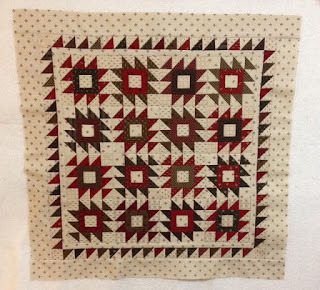 Sadly, I cannot show you a picture because I think the mystery pattern is still available for quilt shops to purchase. I wouldn't want to ruin your surprise! ;) Here's a sneak peak! 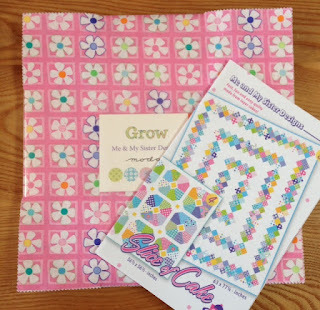 The pattern was designed by Sherri of Border Creek Station Pattern Company. Let me tell you, she is an amazing block of the month pattern writer. Her instructions are laid out in such a way that you can pick up right where you left off. Even after a year and a half!!!! No spending time trying figuring out where you're at! It made it so easy for me to get back into it! Thank you so much for stopping by! Catch you later! Have you ever found yourself in a situation that not only did you not create, but had no control over it? That's me on this Monday morning .... it's not a great feeling to have to rely on someone else to correct their mistake and make it right. ...that how bad things may look right now means nothing. On a brighter note .... I've been a busy bee. I finished Frivol 6 - Vintage by Fig Tree & Co.
You know what that means? Time to start a new project! Since I'm on the Moda Frivol kick, why not continue? So, I started Frivol 10 - Sugar by Sweetwater! 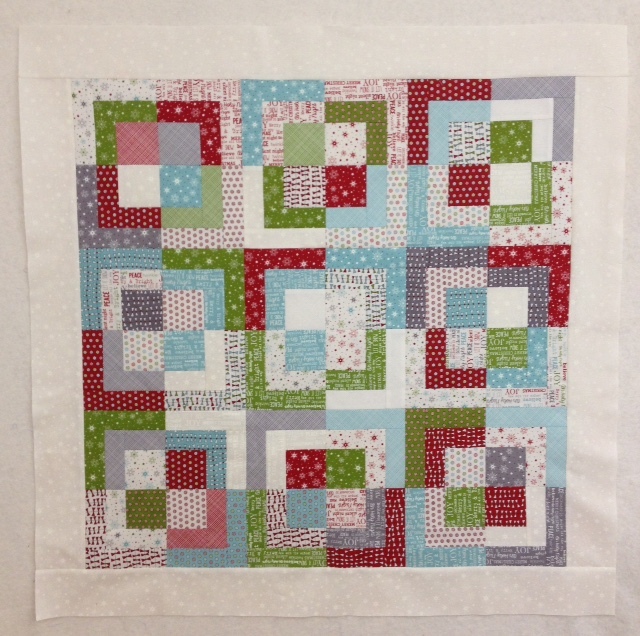 What a cute block .... and cute fabric! Easy peazy to piece! 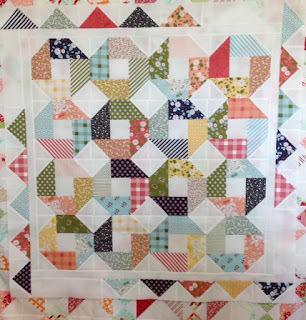 The quilt was completed in no time! If you need me, I will be in my sewing studio, my happy place, attempting to calm down and feel better about this situation that not only was out of my control, but hopefully will not escalate!